The federal government calls them FEMA Corps. But they conjure up memories of the Hitler Youth of 1930’s Germany. 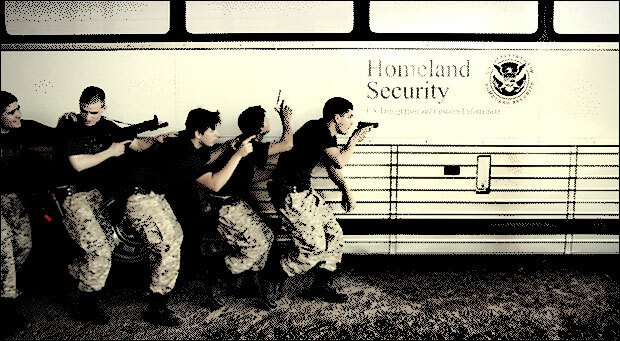 Regardless of their name, the Dept of Homeland Security has just graduated its first class of 231 Homeland Youth. Kids, aged 18-24 and recruited from the President’s AmeriCorp volunteers, they represent the first wave of DHS’s youth corps, designed specifically to create a full time, paid, standing army of FEMA Youth across the country. The federal government’s procurement website actually lists DHS’ requests for bids to supply it with ammunition and military weaponry. All of the orders listed in the above article, including the orders for hundreds of millions of rounds of ammunition, are publicly available at http://www.fbo.gov.